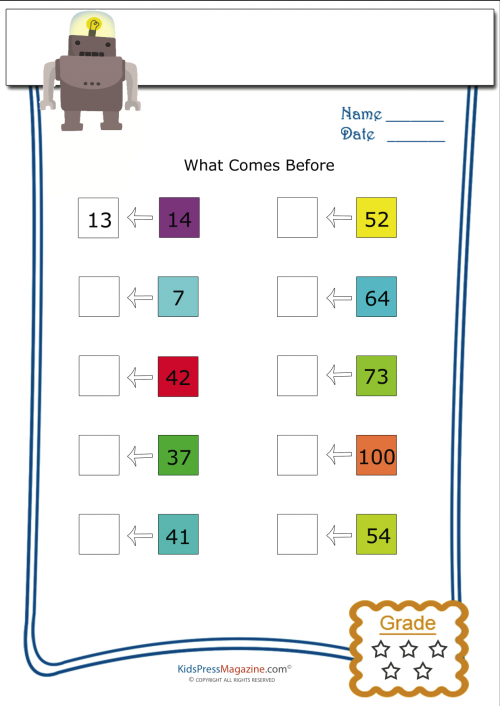 A colorful, printable worksheet that focuses on numbers under 100, and gets children to think about number order. Help your child with developing solid math skills by having them tell you what number comes before the one given in the box. How many stars can your child earn?